The original layout of the medina dates back to the Almoravid period from which there still remain various monumental vestiges (ruins of the so-called Abou Bekr Kasbah, Youssef ben Tachfin Mosque and Ali ben Youssef Palace, not far from the Koutoubia, the pool and the ‘Koubba’ of Ali ben Youssef Mosque which was discovered in 1955, Bab Aylan gate, etc.). In essence, it is an adaptation of the older urban model of Marrakesh. The walls of the medina were built in 1126-27 following the order was given by Ali ben Youssef. The planting of the palm groves, which at the present still cover a surface area of roughly 13,000 ha to the east of the city, has also been credited to the Almoravids. When in 1147 this dynasty bowed to the attacks of the Almohads led by Abdel Mou’men, the task of purification that was carried out did not spare the monuments which, for the most part, were destroyed by the victors. Nevertheless, Marrakesh remained the capital. Under the Almohad rulers (1147-1269), Marrakesh experienced new and unprecedented prosperity. Marrakech is an amazing city. Unfortunately, I visited at the tail end of a 30 day trip up the west coast of Africa, where I had little to no internet access. I spent most of my time in Marrakech catching up on work. 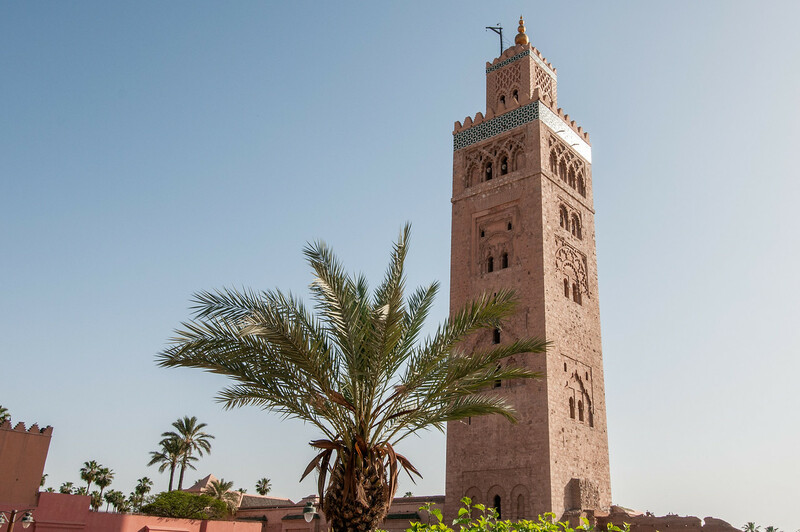 I did get a chance to visit some of the highlights of historical Marrakech, but there is so much more in the city that I’d like to make a return visit. In fact, I’d like to do a proper trip through Morocco and visit the remaining world heritage sites in the country which I haven’t visited. Medina of Marrakesh is a cultural UNESCO World Heritage Site in Morocco. It was inscribed in 1985 and is an urban landscape that depicts Middle Eastern or Arabic heritage. The medina serves as the old Islamic capital of Morocco that originated in the 11th century. The entire city is enclosed by gates and ramparts that cover 16 kilometers in length. 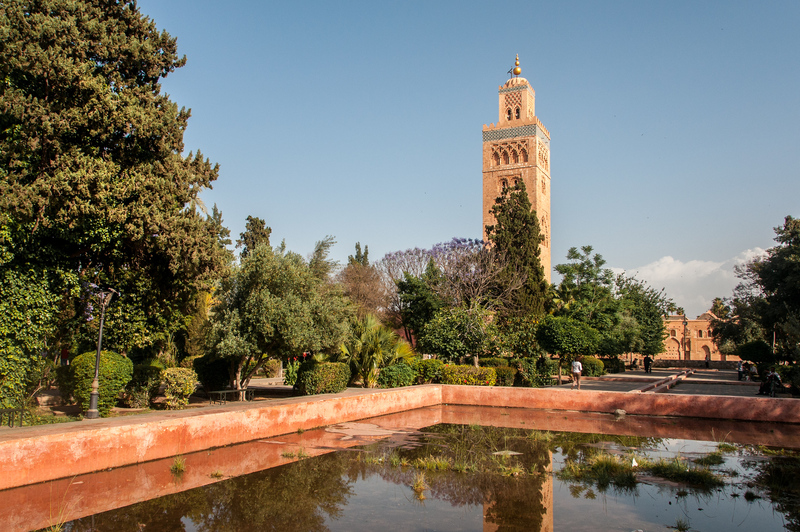 There are two dynasties that ruled the city of Marrakesh: Almoravide and Almohade. These dynasties ruled in the 11th to the 13th centuries. They are also responsible for designating Marrakesh as the capital of Morocco. Hence, the Medina of Marrakesh is home to many of the historical and cultural artifacts that provide a glimpse into the city’s rich culture and history. The Medina of Marrakesh is located at the foot of the towering Atlas Mountains in Central Morocco. The city’s medina is located approximately 250 kilometers from Casablanca. The city was founded in the mid-11th century at the start of the Almoravid dynasty’s rule. The first series of walls were built in 1126 in order to get rid of the stockade of thorn bushes that were present where the wall now stood. By the 12th century, the Medina of Marrakesh enjoyed its ‘golden age’. This was under the Almohad dynasty and also around the same time when the Koutoubia Minaret was constructed. After a period of several centuries, the wealth of the city eventually waned down. But while its wealth withered away, its architectural achievements have remained intact. These architectural monuments in the Medina of Marrakesh serve as a reminder of its period of wealth and power. Today, Marrakesh continues to hold its vibrancy and historical identity. In fact, the Medina of Marrakesh is a popular tourist destination that is visited by tourists as pleasure-ground. The central square at Djemaa El Fna is filled with performers such as musicians, acrobats, dancers, and more to entertain tourists and locals alike. Once you veer off the square, you will find many small squares and alleyways that make up the city of Marrakesh. The main markets, also known as souks, are also popular with tourists that come to the Medina of Marrakesh. In addition to the aforementioned monuments and structures, other notable features in Medina of Marrakesh include Ben Youssef Madrassa and the Saadian Tombs. Meanwhile, there are also lots of greenery at the Palmeira palm groves and Menara gardens that are also popular with tourists. View my complete list of UNESCO World Heritage Sites in Morocco.